I can tell by your profile picture that like me you are a man fond of gold and charity. I hope you will be able to help me in my golden charitable endeavours. It really is for a good cause—athletes that have fallen on hard times. And dentistry. As you know (or may not, after-all I don’t live inside your head) many top Olympians end up in the poorhouse or humiliating themselves after their careers have ended because of age or after having accidentally stood on needles containing performance enhancing drugs. Jesse Owens had to race against horses for cash, Britain’s Olympic cyclist Sir Bradley Wiggins had his haircut sponsored by Cleethorpes’ Paul Weller fan club and Usain Bolt secretly acts as a human compass for the Himalayan Kingdom of Bhutan. Don’t believe me? Check out the next time he does his arrow pose—he’s always pointing to magnetic north. You give me 79 million dollars so I can go round buying up Olympic champions’ gold medals. They get the cash and live lives free of humiliation, I get to keep the medals for my own use. What use you ask? Well, I have always had problems with my teeth and need a full mouth replacement I’m going to melt all the medals down to make a set of dental implants. 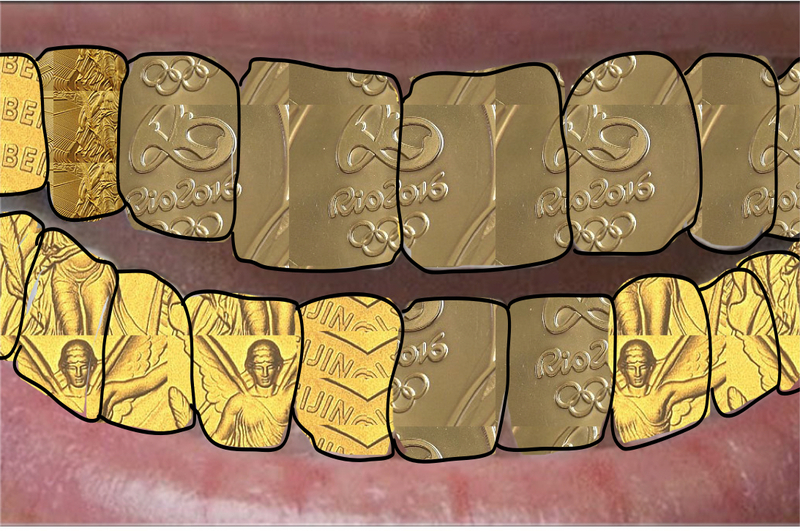 I then plan to travel the world and allow anyone who asks to brush my golden grill, so both spreading the Olympic spirit of ‘can do’ and keeping my 24 carrat chiclets in good condition. Please answer my proposal by sunrise. I'm awfully sorry Audrey - I missed your sunrise deadline and so I have lost this exciting opportunity to help. Just my luck.